Home > Programme > 2016 > T-Talks > Contemporary Dance in Central and Eastern Europe – What’s New, What’s Not? 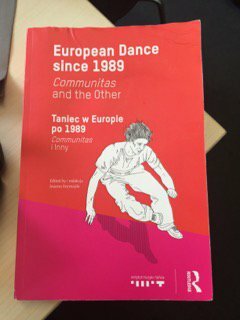 The presentation of the book European Dance since 1989: Communitas and the Other co-published by Routledge and the Institute of Music and Dance, will serve as a starting point for the discussion on the present situation of contemporary dance in Central and Eastern Europe. The crucial question to bring up is whether there is any kind of division – geographical or esthetical – on today’s European dance field.